I used Inbox in the past to access email and it had a lovely feature where it would bundle all “promotional” types of email together. Made it much easier to clean out unnecessary junk - maybe things that if I wanted a deal I might use the email but didn’t need daily reminders. 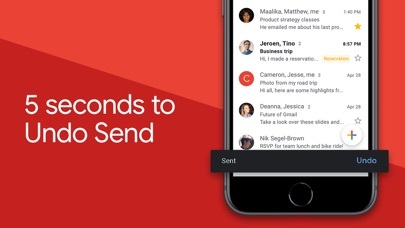 Miss that feature in the new gmail app. I’ve used inbox by google from the very beginning when you needed an invite. Email has never been the same since then. As many others have mentioned, bundles, trips, purchases, reminders, pins, swipes were all amazing functions to stay organized easily and automatically! Emails and important information were presented in a thoughtful, clean/uncluttered way that made finding what you were looking for a breeze. 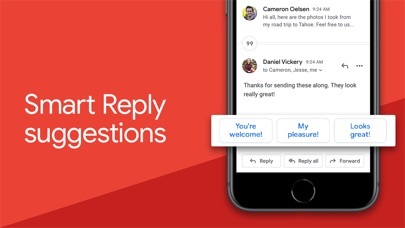 Gmail feels like I’ve been sent back to the AOL days of email. 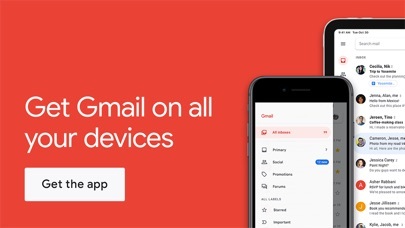 It’s unbelievable that in 2019 and Googles access to the best UI and UX designers in the world, they decided Gmail is going to represent the best email client they have to offer. 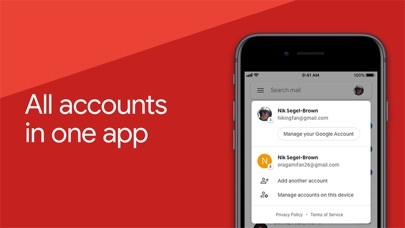 I’ve deleted the gmail app and will use just use apple mail and test others. I’ll be back if MAJOR improvements are made to gmail or inbox is back. Both of which I feel are very unlikely. Yay! The red is gone. This app is pretty dang slick. Really, really love it. Also wish it was easier to apply labels. I've probably got too many labels and so it takes me forever to scroll through them to get the right one. Wish there was some kind of a search or filter for it. Look everyone another update thinking google wants people to stop using gmail. Really update every week? Pretty lame. Revise another update again!!!! Bring back Inbox!!! Quit making apps that we love and then forcing us to go back to this crap. YOU CANT BLOCK PEOPLE? 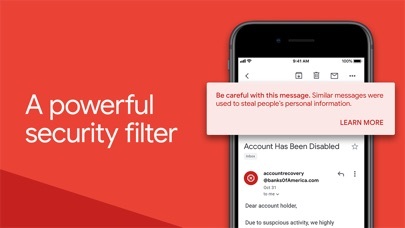 And no, I don’t mean move their messages to a different part of your account. I mean totally prevent their messages from coming through. You would think that Google would’ve fixed that by now. I can’t even send out an email I’ve been trying for the last 3 days to no avail. Really irritating because what we had before was good. It worked, worked well actually and still looked nice.